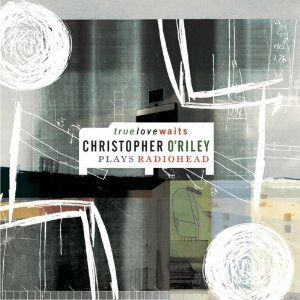 True Love Waits was my introduction to Chris O’Riley back in the Radiohead heyday (2003ish). Chris does great translations of both older and newer Radiohead songs for piano. I would say his triumph actually is Hold Me To This, due to the fact that that album attacks some of the very difficult latter-day songs very successfully, but True Love Waits both is challenging and familiar, due to its mixture of complex songs (Everything In Its Right Place, Knives Out) and older, more straightforward rock songs (Black Star, Thinking About You). I think I like his version of Black Star as much as the original, and I love the extra flourishes he adds to a song as simple as Thinking About You. I have great memories of hearing him perform his versions of these songs several times in my early 20s. However, I think I may have ruined True Love Waits recently. At the end of my last job, when I spent many hours documenting my work processes, music helped me concentrate, but it couldn’t have lyrics or it was too distracting for writing. So most of my music was out. I ended up hearing True Love Waits quite a few times by necessity and timing of the project, and therefore it has some less than pleasant connotations now. I hope with time those will fade!